This dart fell cleanly all the way to the ground and then came to rest. This dart hit something 23 meters above the ground (probably a tree branch), tumbled to the ground, bounced, and then rolled to its final resting position. This dart fell cleanly until almost reaching the ground, probably hit some small branches and foliage, then came to rest. 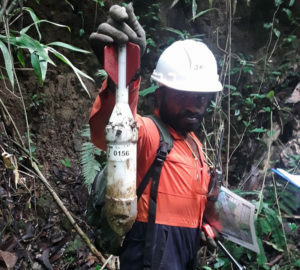 A field technician holds a DART used for seismic data acquisition. 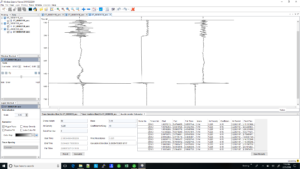 Headquartered in Sugar Land, Texas, Wireless Seismic is revolutionizing onshore seismic data acquisition by delivering the industry’s only fully scalable wireless seismic recording systems with real-time data transmission. Using these recording systems, contractors can efficiently tackle the most challenging seismic projects by delivering commercially compelling solutions for conventional surveys and passive monitoring projects. For complex environments with hard-to-access topography, traditional acquisition and imaging methods can be expensive and hazardous, with often unreliable results. Wireless Seismic, in partnership with Total and Geokinetics, aims to conduct the imaging and exploration of these underexplored areas using Downfall Air Receiver Technology (DARTs) in the Multiphysics Exploration Technology Integrated System project (METIS). Dropped from large swarms of drones over a targeted area, DART seismic receivers can be a highly effective option for gathering data, if well-positioned and operational. To make this effort successful, Wireless Seismic needed a way to quickly validate the data from and positioning of their DARTs onsite to avoid any gaps in the data, which could mean repeating the survey and wasting resources, time, and money. Installed on a laptop in the field, INT’s INTViewer is a lightweight, yet robust application that can perform visualization of large data sets quickly and efficiently. 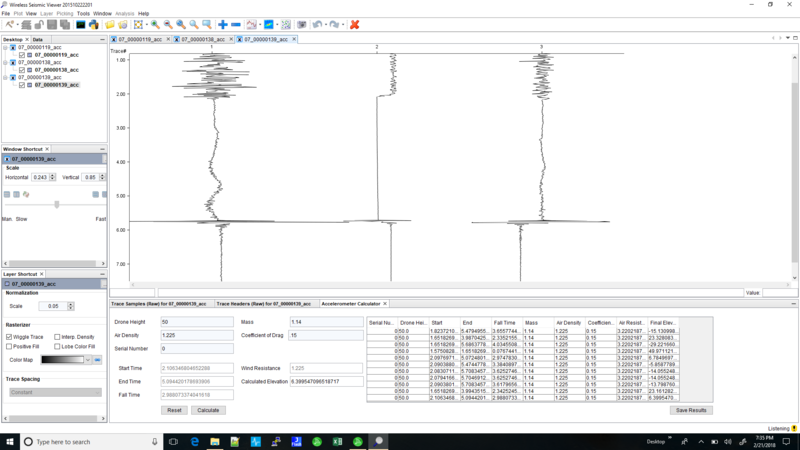 INTViewer allows Wireless Seismic technicians to upload acquired data and check the quality of that data on the spot, in near real-time. INTViewer’s extensibility through Python adds conversion and calculation capabilities that use non-seismic data converted to SEG-Y traces to analyze how successful the geophone drop has been. If any of the DARTs fail to land properly or if any of the data is faulty or missing, the command center can adjust and optimize the acquisition plan in real time. 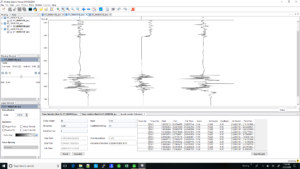 This process significantly shortens the time between completing data acquisition and finalizing the geoscientific processing. With this unique technology combining drones, Internet of Things, traditional and non-traditional seismic acquisition methods, Wireless Seismic is changing the game, increasing accuracy, and minimizing the risk of retaking surveys. In a cost-sensitive environment, this method can be up to five times more cost-effective and safer than traditional methods. See how INTViewer can help you achieve your objectives with a free 30-day trial.